Dan Horan Racing Team > News > Media > Dan Horan Racing Team wins at Holly National Hot Rod Reunion in Bowling Green Kentucky! Coming straight from the chassis builder to Bowling Green with zero runs on the car made for an exciting weekend. Originally planned as a “testing event”, it turned out pretty well for us. 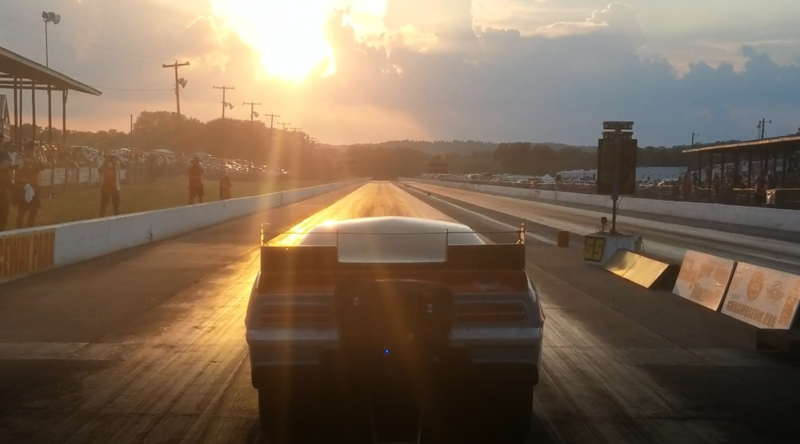 BOWLING GREEN — Showing up with a new car at a premier event like the Holly Hot Rod Reunion in Bowling Green Kentucky was certainly fraught with peril but the Dan Horan Racing Team made the best of it. Fighting chassis gremlins that had the car struggling to stay in the lanes and testing driver Dan Horan’s skills as a pilot early on the team was able to finally overcome with help from several key people over the weekend. “Making power wasn’t a problem, getting it to the ground in the hot and humid environment and keeping her on rails was” said Horan. The eliminations rounds is really where the crew shined though; with some new talent in the pit that helped spread the load it allowed the vets to make crucial chassis adjustments between rounds and still turn the car around with time to spare. All in all, it was a true team effort! I took a huge effort on the part of the whole crew to get the car squared away so that we could come away with the victory!